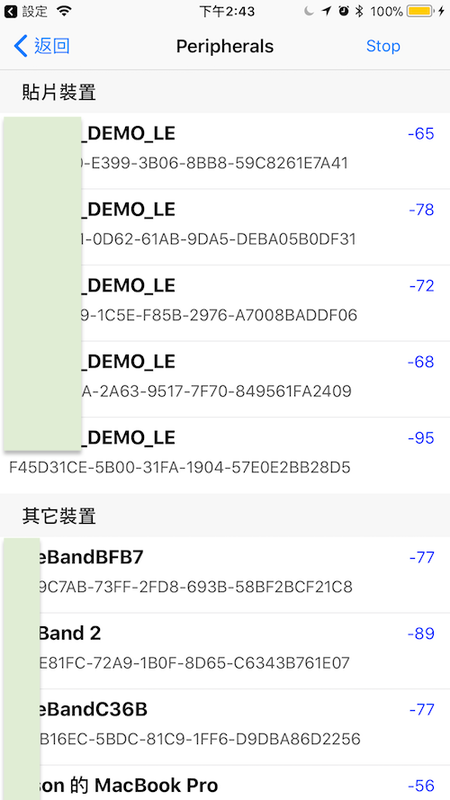 “iOS hides the MAC address of the device and generates a UUID. The UUID on iOS is generated by the iOS device. Different iOS devices will get different UUIDs for the same peripheral. The MAC address is usually based on the hardware. If we both have iPhones and scan the same peripheral, we’ll see different UUIDs. iOS generates the UUID on the device and hides the MAC address. Summary – iOS doesn’t let you get the MAC address of a device, it gives you a random UUID instead.